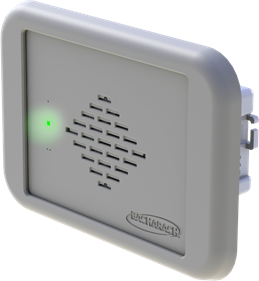 New Kensington, PA – Bacharach, a leading manufacturer of refrigerant and gas leak detection, from monitoring instruments and data solutions, to combustion and emissions analyzers, is offering the MVR-300 to provide continuous refrigerant detection within occupied spaces. 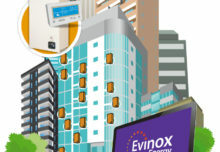 Typical applications include monitoring for potential leaks from high-volume HVAC-R systems in hotels, apartments, dormitories, hospitals, assisted living facilities and office buildings. The MVR-300 is ideal for integration with VRF/VRV (Variable Refrigerant Flow/Variable Refrigerant Volume) systems. The monitor ensures the safety of occupants, in addition to enhancing the effectiveness and energy efficiency of the HVAC system, minimizing potential environmental impact from leaking gases and helping to comply with regulations such as EN378:2016 and ASHRAE 15:2013. 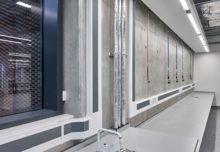 The MVR-300 identities affected rooms and enables the HVAC system to isolate the leak, so that other rooms remain unaffected while the risks of a refrigerant leak are mitigated. “Although HVAC system leaks are not expected to be a common occurrence, they are a cause of higher operating costs, and in high-volume systems such as VRF/VRV, they can represent a safety risk and can cause facilities to lose revenue by being unable to use rooms affected by leaks, due to refrigerant levels, or because of the lack of fully functioning HVAC,” said Tom Burniston, Product Manager, Fixed Instrumentation. “The MVR-300 communicates the detection of a refrigerant leak by Modbus or relay contacts, and it can be integrated with HVAC control systems to automatically isolate a leak. 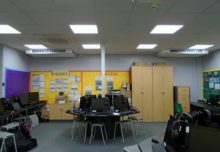 This means the rest of the system can continue to operate normally, so that other rooms can continue to be fully occupied and used. In addition, room occupants can be audibly and visibly alerted to the presence of leaking refrigerant, which combined with leak isolation is helpful to ensuring safety of those occupants,” he said. 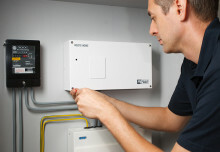 The MVR-300 is easily installed in a standard 2-gang electrical back box so it sits flush to the wall. Its low profile, neutral design blends into typical room décor, making the instrument unobtrusive. A range of communications options allow for alarms to be centralized into a building management system or other control system.